You’re in the right place ! Here are all the steps to create a boat rental business. Are you a business person ? This article is dedicated to every entrepreneur who want to change the direction of his life. 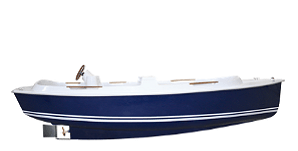 Do you want to launch a Business in the nautical field ? Ruban bleu will guide, assist and train you for your project. Since few months or even years this project stays in your mind and you can’t stop thinking about it. Why don’t you create a nautical center ? 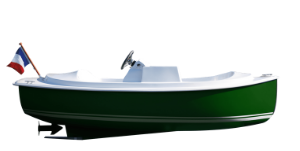 Why don’t you create a renting electric boat business ? If you like challenge, this is for you ! We guarantee our support, our experience and advices on the long term. For 25 years we’ve have been working toward the field of nautical center. Since its creation, Ruban bleu had its own renting base. Years after years, we accumulated experience by creating new bases for our clients. That’s why we launched a training program in order to help the marinas creators. First of all, we will establish the specifications with you. The objective is to structure your ideas and expectation to create a stable project. 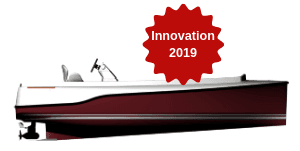 We will talk about the services you might provide : Are you a kayak rentals with few electric boats or an electric boat rental company with a few kayaks ? A kayak is maybe essential to wider your offer. Will you have a stand up paddle board, jet ski, canoe and kayak, pedal boats or other watercraft offer ? In the second part, we will visit your place to understand the feasibility of the Project. We’ll review the water map, the embankment, the accessibility, the possibility to park and the electric supply. 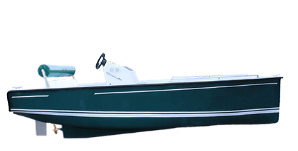 We will give you advices about your dock or pontoon boats layout. Indeed, docks are not all adapted to rental businesses for safety reasons and and person with reduced mobility. They are also many requirement from the regional authority. In this third part, Ruban Bleu will guide you in all administrative steps. You will have to make some request to the regional authority from your country. Ruban Bleu distribute the services of Hey Captain . This is a reservation platform. With this tool, your clients reserve a boat according to the number of people they are in the group. It manage cancellation as reservations. It has never been so easy to rent a boat, and for renters, to manage their fleet. 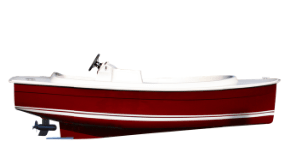 How to extend your boat rental business activity ? Rentals businesses in the boating sector have been rocketed for the last few years in France. However, many of them had to wider their offer in the way to diversify their revenues. If the waters surrounding your marina or nautic center have monuments to visit or nice wildlife landscapes to admire, why not cruising passengers on half day excursion ? You’re maybe a good boater ! A cruise of passenger is a good business model during summer. Indeed, if you have a lot of tourist comming, you will easily fullfill your vessels ! 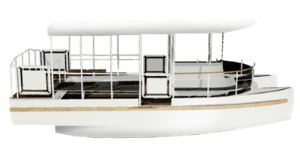 Ruban Bleu created an electric boat for passenger transportation. This boat have about 12 seats but in france, for such an amount of passenger, you will need a captain and a sailor to cruise. Every ear, many wake parks open their doors in France. They offer skiing and wakeboarding sessions for 20€ to 25€ per hour. Wakeboards and skis are not a huge investment but the wakeboard installation is expensive on lakes. If you are set up on a sea area think about ski boating. 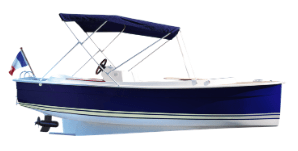 Ski boats are usually kind of race boats that require a boating licence. In general watersports are expensive but profitable if your area is touristic. If you do not have fishing boats, nothing forbid you to set up some ficking equipment on few boat. However, in England, Wales and the Border Esk region of Scotland, you need a fishing licence to fish for salmon, trout, freshwater fish, smelt or eel. The goal is not to set up a fish finder on your boat but a chilling and recreational relaxing option. Some of our client equipped their boat with stainless sleel rod holder.